Hi everyone. Talking about intuitive (N) types as a group is rarely done but I believe it is so important to talk about us as a group so that we can support each other in a big way. We are a diverse group but as I mentioned on the home page, we are the compassionate gifted souls that are only 20% of the population–the planet needs us to rise up out of our self-doubt and take our places at the helm as leaders so we can inspire others in a new direction for a new and more highly conscious earth! Maybe you have heard of the new trend of being a highly sensitive person (HSP) made popular by Elaine Aron’s Book the Highly Sensitive Person and her research on sensory-processing sensitivity. There is growing support for this group as highly intuitive feeling types (NFs) identify with being overstimulated, overwhelmed, and now have support in overcoming the stigma attached to the word “sensitive”. As an INFJ I am so grateful that finally someone scientifically minded with a Ph.D. did the research and came out and said it was a gift to be sensitive! Hooray! There are also quite a few INTJs and INTPs that identify with this group as well. My observations of this recent popularity with being an HSP is that it attracts more women than men and also more introverts than extroverts. I feel there is a portion of highly sensory-sensitive people who are left out of feeling supported by this group because of the word ” SENSITIVE”. Many left brained, high achieving male intuitive thinking (NT) types would not feel comfortable proclaiming they are highly sensitive–the word is just too much to overcome with much of society associating it with weakness and insecurity. That is not at all what is meant by the word in reality–sensory-sensitivity has to do with the result of a highly creative mind that is caring and compassionate at heart! When you have an amazing imagination and also an empathetic and compassionate heart and a deeper introspective outlook on life the result can be that you are overstimulated in comparison to the practical sensing (S) types of people who are 80% of the population! So it made sense to me to write about highly intuitive souls as a group to include those ENTPs and ENTJS and others who don’t want to call themselves “sensitive”. I understand this. 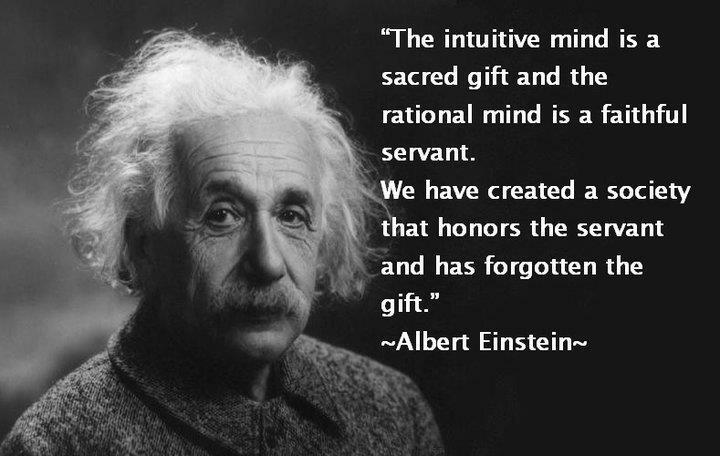 These extroverted intuitive men who lead with their left brain are not resonating with the HSP craze so I hope what I have created is a support community for all highly intuitive souls so as not to leave out any type out that really deserves recognition and support in their emotional needs. Yep, that is right, I said “emotional” needs–both intuitive-feelers and intuitive-thinkers have emotional needs that need to be validated and addressed in their search for balance and vitality to get the most out of life. How do I know this? Because as a life coach helping NTs and NFs suffering from self-doubt, anxiety, guilt, and depression, I have observed that the emotional release of pain and suffering from childhood emotional abuse is the same in both of these types. The emotional pain being released by NTs is almost more pronounced because of how NT children are so devastated by the unkind acts of others less compassionate and so they often completely shut down their access to their right brain’s creativity and positive emotions– they did this to avoid feeling any further emotional pain and especially the ridicule of being called “sensitive” was too much to bear! They then get by in a survival mode that is a “numbing out of their emotions” and rely mostly on what is logical, rational, and emotionless which unfortunately is highly praised in our achievement-oriented society. But then, when they search for relationships to satisfy their deep loneliness, their emotional unavailability often gradually becomes apparent and becomes a “problem” if they have a significant other in their life that is expecting them to show and express their love and a certain amount of emotional intimacy and gentleness. The deep loneliness of both NTs and NFs is very similar for those who experienced a childhood that was less than compassionate at recognizing the gifts of the highly intuitive soul. The loneliness is a “symptom of the traumatic separation from the true self in early childhood” (Alice Miller–The Drama of the Gifted Child). World renowned psychologist Alice Miller talks of how, at the age of 5 or 6, it is typical of the gifted, compassionate child to “give up” due to the unbearable pain of not being “seen” and to repress and “split off” the true self where it remains dormant in the subconscious waiting until it is safe to come out later in adulthood. A false self is formed that is a people pleaser and obedient but lacking the vitality that is necessary to feel relaxed, have inner peace, or actualize the true potential. When the adult reaches success later in life either when finding love or achievement, this is when the pain from the past comes up to be healed. Often these gifted intuitives are in denial about their painful childhoods so the pain coming up suddenly feels like a punishment and so they keep pushing it back down, again and again. But the pain can be worked through as it holds the keys to the true self being reunited again and the vitality of the spirit can be regained. This takes time but is so valuable once a client sees the relief of telling the truth about their childhood injustices and being validated by a kind and safe enlightened witness–they then begin to gradually feel joy and love for themselves like never before. Learning to forgive themselves and have compassion for their “wounded inner child” can unblock self-doubt and depression and lead to the client experiencing a new found spirituality as they are able to access their creativity that has been on the banished right side of the brain that they now have access to without fear of being shamed or punished for being too “sensitive”. NFs can also experience this exact same split off of the true self in early childhood but since they lead with their right brain they often can re-access the banished emotions easier once they find a safe person they can really trust to talk it out with. Grieving the loss of the childhood is an important part of the process of emotional healing for highly intuitive souls who suffered from lack of support for their gifts as children. This is called inner grief work as they journal and talk out the truth of what really happened and put together the story that they had previously repressed from their memory because it was too painful to bear as children. This is what I do as a specialist in inner child healing and it is the most rewarding work imaginable. My clients are the most kind, caring, and gifted people on the planet and it is my privilege to share in their self-awareness and growth as they heal their repressed and wounded parts and become whole again. It is an honor to be lifting up souls who have been in hiding and downtrodden, helping them to discover the light inside that has always been there, just waiting to be turned back on. You all have the power to turn up your lights that are just dimmed by the negative spiraling thoughts of the left brain–the side that houses the dreaded “inner critic” voice inside our heads. Both sides of the brain are meant to be working in balance together and this happening will help you find wholeness and vitality, express your true voice, and find your true purpose in life. Ultimately the hope is that all highly intuitive souls will find their true purpose in life through emotional healing and our compassionate leaders will emerge to heal our planet and inspire peace among all of it’s inhabitants. This entry was posted in actualize the true potential, Compassion for your Inner Child, compassionate leaders, denial of painful childhood, finding your true purpose, Forming a False Self, Grief for Your Lost Childhood, grieving the loss of childhood, inner grief work, lacking vitality, negative spiraling thoughts, Posts, Rise Above the Negativity, Rise up from self-doubt, split off the true self, telling a safe person, uplift the soul, wounded inner child and tagged compassion, compassionate, creative, deep introspection, depression, Elaine Aron, emotional healing, emotionally unavailable, empathetic, enlightened witness, ENTJ, ENTP, extrovert, false self, Folk Rock Songs for the Soul, gifted, gifted souls, grief work, healing, high achieving, highly intuitive people, Highly sensitive person, HSP, HSPs, INFJ, inner peace, INTJ, INTP, introvert, intuitive, intuitive souls, leaders, left-brained, loneliness, Mental Health, numbing emotions, obedient, overstimulate, overwhelmed, peace, people pleaser, self-awareness, sensitive, sensory-sensitive, shame, Songs For the Healing Soul, spirituality, survival mode, temperament types, unbearable pain. Bookmark the permalink. Good information, Roxanne. Fortunately, the world is changing and people are becoming more compassionate, no doubt by following the example of highly sensitive people. Thanks for stopping by and for the “like,” too. I agree with what you said. I’m a retired ENTJ electrical engineer who discovered I was a highly sensitive gifted polymath and empath when I read “The Highly Sensitive Person.” While doing yoga in a vineyard in Oregon in June 2011 I discovered I was “thin skinned like a Pinot grape but like the wine I got better over time.” I’m writing poetry and prose along with paintings and original piano pieces to tell my story of learning how to be a caregiver of myself and my wife of 50 years as her health has declined over the last three years. She passed away three weeks ago. Would you provide me suggested resources for grieving gifted highly sensitive people like me? Here’s an example of a poem based on a painting that I plan to use in my memoir: “Pinot Like Me: Self Discovery Journey Through the Oregon Wine Country?” It is based on John 15:5. Thank you for sharing your beautiful poem and for and stopping by! Thank you, Ryan, for your kind words of support! 😀 Welcome to my blog!